The sister of Petroleum Minister Diezani Alison-Madueke, Osiya Agama has been rescued by police in Port Harcourt eight days after she was kidnapped. 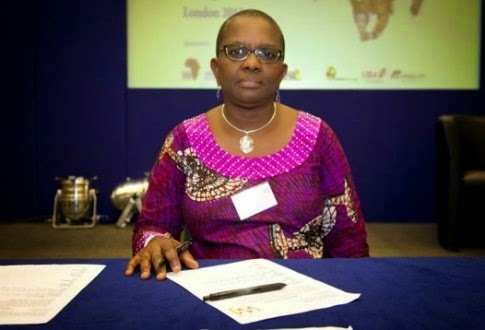 Mrs Agama was kidnapped by unknown gunmen on her way from an evening church on Tuesday October 21, at Leventis Bus-Stop along Port Harcourt-Aba Road, as she approached her car. The police said yesterday that she has been rescued. A text message from the Rivers State Police Public Relations Officer, Mr. Ahmad Mohammad, stated that she was rescued during a joint operation by the Police, Military And Operatives of the State Security Service. “This is to inform you that Osiya Agama has been safely rescued during a joint operation by the Police, Military and the State Security Service. Two Suspects Were Arrested”.